David Shulkin, the former VA secretary, said he followed a much clearer path to meet with the president and have decisions approved under President Obama as compared to President Trump. Shulkin was the lone Cabinet official Trump selected from the Obama administration, serving as VA undersecretary from 2015 before taking the top post in 2017. Trump fired Shulkin earlier this year following an ethics scandal and disagreements over the future of VA. The former secretary, who made his comments at the Harvard T.H. Chan School of Public Health, said his dismissal was purely political in nature. Obama “would be well briefed when we met with him,” Shulkin said, adding he was “very analytical and thoughtful.” Trump, meanwhile, is "not someone who likes to review the details,” according to the former VA chief. Shulkin’s tenure ended in controversy after an inspector general’s report found he had misused government resources while traveling abroad and inappropriately accepted gifts. Shulkin paid back some of those costs. 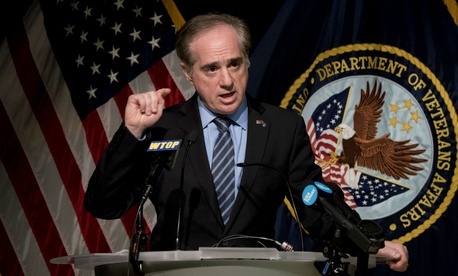 It was ultimately not enough to save his job, though in Shulkin’s telling the true impetus for his ouster was his refusal to go along with efforts within the administration to further push for VA privatization. “I ran into my share of political appointees in VA who wanted to be there for political reasons and not for the purpose of managing ... VA,” Shulkin said. He explained that he was committed to being “adherent to my principles and what I thought was right even if it cost me my job,” noting that in the end, it did. His removal was not the first time he thought Trump would show him the door. Shulkin also spoke out against the 2017 white supremacist rally in Charlottesville, Va., after Trump faced widespread criticism for failing to adequately condemn those marching and spreading hateful messages. The former secretary said he thought he would get fired for those comments. Trump has repeatedly pushed back on the frequently reported notion that his administration is or ever has been in chaos, calling the assertion "fake news." Despite the alleged disloyalty Shulkin was shown by his fellow political appointees, he said he drew inspiration from VA’s rank-and-file workers.